I’m also grateful for the effort these organizations made to bring together scholars and practitioners from the United States, China, Japan, Australia, the United Kingdom, Indonesia, the Philippines, and India to consider the challenges and opportunities in the Indo-Pacific from a variety of perspectives. These representatives from the fields of maritime shipping, offshore energy, geopolitics, international law, private maritime security, and fisheries and climate sciences had the chance to share and contest ideas in a cross-disciplinary approach. And contest they did. Observers and attendees of similar events will be familiar with the contentious dynamic that can develop between Chinese and Japanese or Chinese and American representatives, as highlighted at the Shangri-La Dialogue in Singapore earlier in the month. In India, Dr. Liu Zongyi of the Shanghai Institutes for International Studies (SIIS) carried China’s banner. Some of the feistiest exchanges involved his assertions that the United States had previously agreed to Chiang Kai-Shek’s claims to the South China Sea and that there were no maritime disputes in the South China Sea prior to U.S. involvement in the region in the 1960s-70s – the former rebuffed by a personal account of the post-War discussions with Chiang relayed by U.S. Pacific Fleet’s Director for Plans and Policy, W.J. Wesley. As for Liu’s latter argument, South China Sea claimants on all sides have produced a multitude of historical documents stretching back centuries, but if he was referring to the start of a more active phase of the disputes he may have the timing more accurate. Yet China’s seizure of the Paracels from South Vietnamese forces in 1974, killing 70, is probably not what he meant as an illustration of U.S. trouble-making. In spite of these disagreements over China’s positions, the conference to its credit maintained a cordial atmosphere, with several presenters touting the benefits of establishing personal connections and dialogue over beers or cocktails – the benefits to which many CIMSEC chapters can attest. The organizers’ ringing of a concierge bell to mercilessly keep panelists to their allotted time also built a sense of shared sacrifice against a common enemy. Even by continuing to press his country’s positions Liu won some professional empathy for resoluteness in the face of near-universal criticism. For it was near-universal. If anything surprised me at the conference it was that the Indian panelists and presenters also openly disparaged both Chinese claims and their actions in the South China Sea. The 9-dash line came in for particularly sharp treatment, with one analyst noting that by the same basis of drawing lines in the water Spain could claim all lands 370 leagues west of the Cape Verde islands – with a treaty to back it up. Yet a consensus on the merits of the issues doesn’t mean India will take action. Indian participants led a robust discussion and were of divided opinion as to whether India had a national interest in getting involved in these disputes on the eastern end of the Indo-Pacific. To be fair, it was not only China that came in for criticism. During Q+A segments Indian audience members asked why the United States is focused on destabilizing China, whether it should be viewing the region through a Cold War lens, and whether the Rebalance to the Pacific is waning. None of these questions reflect the reality or the logic of U.S. goals in the region, but they do highlight some existing perceptions. Dr. Liu’s view of India’s role was clearer, arguing “a swing state and hedge is the best choice,” and describing newly elected Indian Prime Minister Narendra Modi in The Global Times last month as having a chance to become “India’s Nixon,” and bring about closer ties with China. The outreach to India was oddly tinged with scare tactics, however, as Liu claimed “If China was crushed, India will become the target of the U.S.,” based on a remark former Secretary of Defense Leon Panetta made calling India an “emerging threat.” Even a Pakistani newspaper acknowledged this slip-up as a gaffe. For their part, many of the Indian representatives saw opportunities to increase already growing maritime cooperation in the region while weighing the risks of increased Chinese activity in the Indo-Pacific. 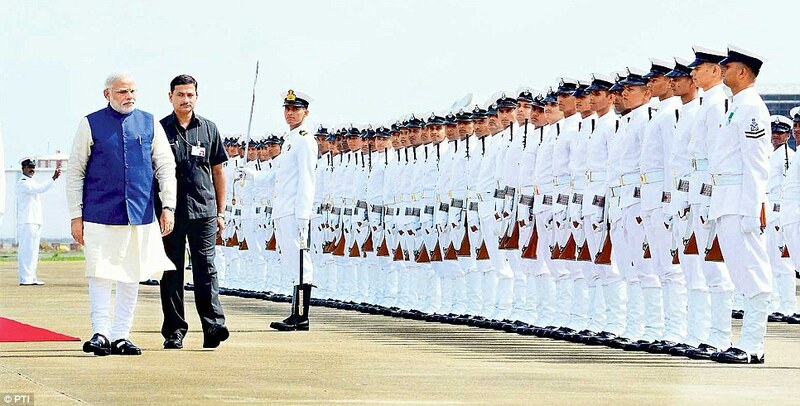 Inspector General Satya Sharma, of the Indian Navy, touted India’s sustained and close cooperation with several counter-piracy efforts from East Africa to Singapore and room for closer Coast Guard collaboration in the near abroad. 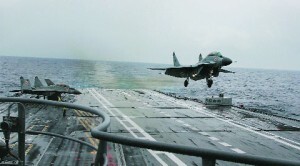 ORF’s Manoj Joshi and Madras Christian College’s Dr. Lawrence Prabhakar explored ways India could build its own deterrent power in the context of increased risk from increased contact with China at sea. 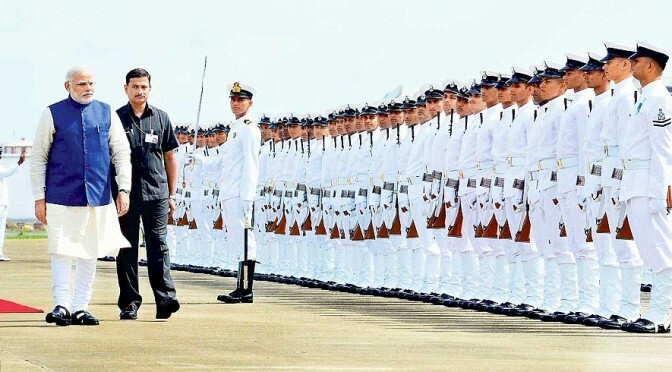 Prabhakar further stated that India would continue to focus primarily on bilateral relationships with regional powers, but noted several instances of developing trilateral engagements, including the upcoming Malabar exercise with the United States and Japan. At the same time, ORF’s Dr. P.K. Ghosh cautioned against expecting India to “play the role of headmaster” in setting the agendas of its neighbors at the west end of the Indo-Pacific. 1. Fittingly, it was held as Monsoon rains began to lash southern India during the 5th anniversary of the precursor article to Robert Kaplan’s book of the same name, discussing India’s role in the region. 3. And well worth cramming one’s 6’3″ frame into 40+ hours of coach flight. Hello Scott, must say it is a well compiled report. Was great meeting you in India. I know you are doing a great job . We will keep in touch and work on our core interest of Maritime Security together. Vasan – Thank you, I was fortunate to have a chance to meet you in person as well, and thank you for the kind words!